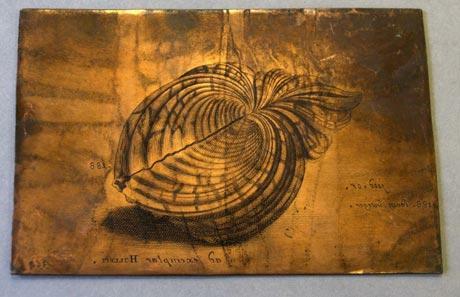 “300 year old Engravings Shed Light on Women in Science” The slide show focuses on the work of the sisters Anna and Susanna Lister, whose drawings and copper plate engravings for their father, Martin Lister's Historiae Conchyliorum (1685-1692). The historian Anne Marie Roos stumbled upon them while researching a biography of Lister for Oxford's Cultures of Knowledge project. They are just wonderful illustrations and again do much to illuminate the contributions of women to Natural History before science became the domain of disciplined scientists and exclusive science societies. When the English naturalist and physician Martin Lister wrote home from France to his wife Hannah in 1681, he explained that he was enclosing a box of oil colours for his oldest two daughters, 11-year-old Susanna and 9-year-old Anna Lister, to paint with. He also asked her to lock away the precious pencils he was sending, "for they know not yet the use of them". But within a few years, Lister was relying on the teenage Susanna and Anna to illustrate his landmark compendium of all known shells, the Historiae Conchyliorum, which was assembled between 1685 and 1692, and which was later cited by Charles Darwin. Lister was vice-president of the Royal Society, the United Kingdom's academy of sciences, and his daughters were also pressed into service to illustrate a number of letters published in the society's journal, Philosophical Transactions. Historians now believe the pair were the first women to use microscopes to help produce some of their scientific drawings. Susanna Lister also illustrated Anthony von Leeuwenhoek’s letter “concerning the appearances of several woods and their vessels as observed in a microscope” (A. Leewenhoeck Philosophical Transactions. 13, 197–208; 1683). It is a great series of 13 slides and well worth the few minutes to view them. See as well the article by Jean H. Langenheim "Early History and Progress of Women Ecologists: Emphasis Upon Research Contributions" (Ann. Rev. Ecol. Syst. 1996. 27:1-53) covering the period from c.1860-1975. The "American School": A brief timeline of the Monogenist/Polygenist Debate.